On Nov. 7 American Express will present The Drop: Divided & United — Music of The Civil War at 7:30pm., featuring performances by Chris Hillman, John Doe and Lee Ann Womack, as well a panel discussion with the performers. Amoeba is proud to sponsor the event. Tickets are $15; you can pick them up here. 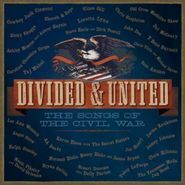 The show kicks off the album Divided & United: The Songs of the Civil War, which features songs from the Civil War era, as picked by Randall Poster, a music supervisor who has worked with the likes of Wes Anderson, Martin Scorcese and Todd Haynes. The album, out Nov. 5 on ATO Records, is available for preorder now and includes 32 tracks on two discs, with appearances by the aforementioned artists plus Loretta Lynn, Steve Earle, Old Crow Medicine Show, Dolly Parton and many more.